If you are seeking Rumi, go elsewhere. 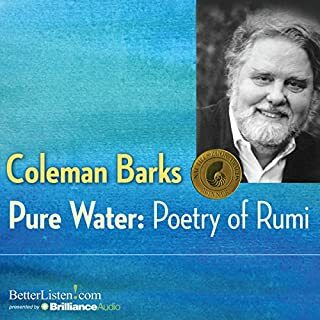 This is a personal, musical, poetry session of mixed sources which include Rumi. I do not recommend. 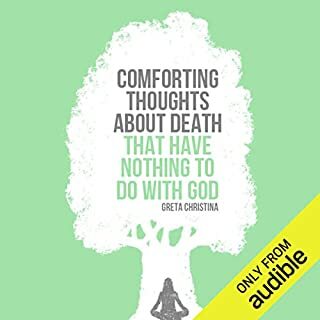 In this mini-audiobook collection of essays, prominent atheist author Greta Christina offers secular ways to handle your own mortality and the death of those you love. Blending intensely personal experience with compassionate, down-to-earth wisdom, Christina (Coming out Atheist and Why Are You Atheists So Angry?) explores a variety of natural philosophies of death. Interesting, great author/speaker, not innovative ideas, just an intro to atheist perspective. Based on her style, I will be looking for other books. This is good for someone who wants to understand atheist perspectives, as an introduction to the overall philosophy.